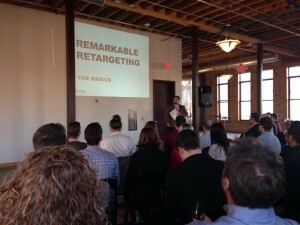 Why is retargeting remarkable? With low CPMs and high CTRs search marketers have been turning to retargeting to increase their reach and hit direct response goals. The three speakers for our fifth edition of Search Snippets “Remarkable Retargeting” helped shed light on the complex world of site, social, search, and creative retargeting. It was a timely topic in the world of social retargeting as Facebook Exchange (FBX) expands into News Feed. The presentations are available on SlideShare and video coverage of the event is on MnSearch’s YouTube Channel. Tony Tellijon @toonces51 of Aktion Interactive provided a Retargeting 101 background on the benefits, drawbacks, tricks and basic setup of retargeting. He also gave a shout out to a Minnesota company Exact Drive that offers a “self-service” DMP/DSP solution – a nice option for control freaks that want direct control of data and inventory. Don’t Be Lazy, Be Relevant! Ashley Nicklay @Ashley_Emerson of Rasmussen College gave us a primer on Facebook Exchange and dived into Facebook retargeting. She discussed targeting, including how FBX enables targeting for online audiences with pixels and cookies. Ashley also warned us that banner fatigue happens quickly so it’s important to start with multiple ad variations and refresh creative often. Relevancy and granularity makes a big difference. In her experience Ashley has seen a 28% lift in CTR when headlines are specific to the product or service. 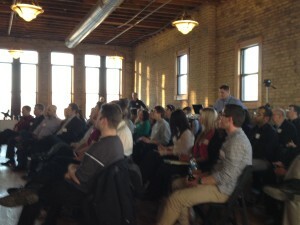 Our event wrapped up with many questions from our awesome, engaged attendees. Questions ranged from, “What’s the difference between a pixel and cookie?” to, “Can you retarget from secured pages?” To hear all of the presentations and the Q&A session please watch our recording of the event. Have great retargeting case studies, insights or tactics? Please share them in the comments section below! 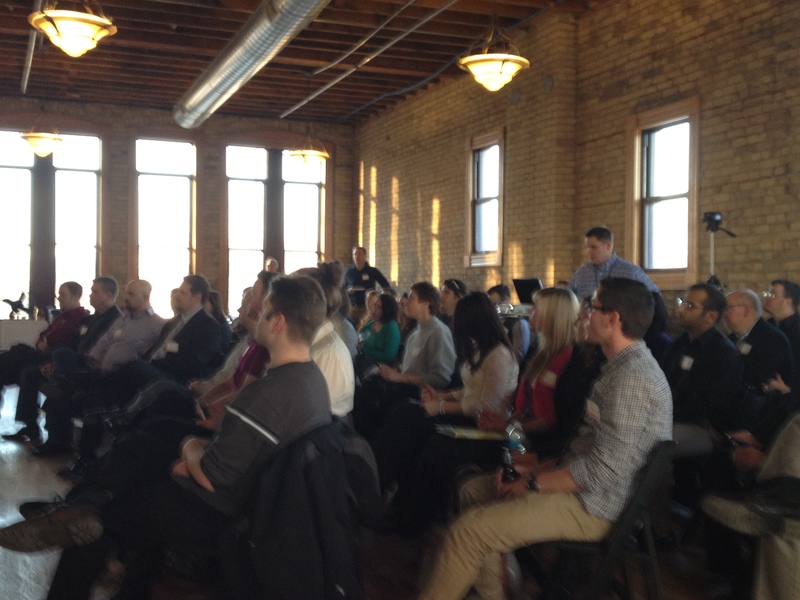 Special thanks to our venue sponsor Internet Exposure and to our 100+ MnSearch members. Next week checkout the upcoming blog tribute to our members—without you we’re nothing, seriously!! MnSearch is for search marketers by search marketers.